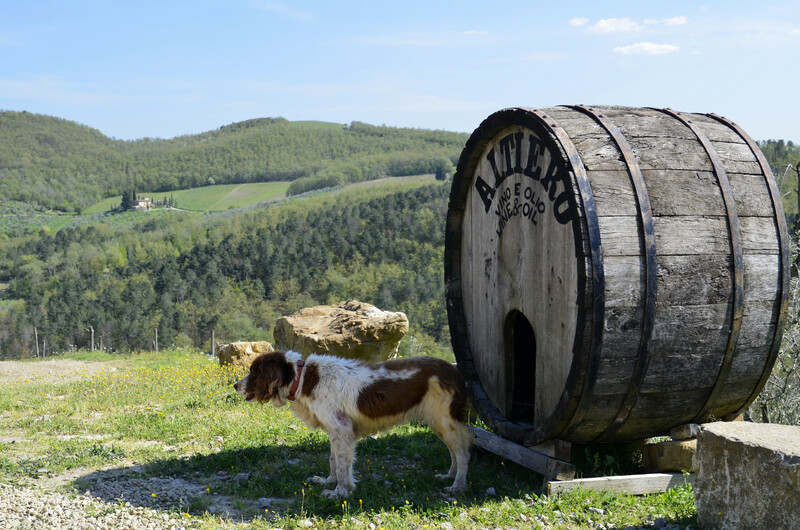 Altiero in Chianti is another smaller family-run winery. 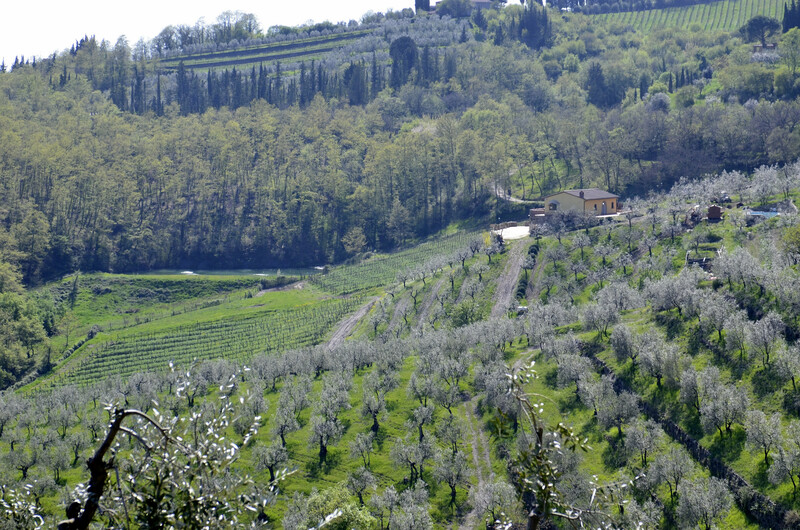 Paolo Baldini is the owner and, with his wife, Samuela they run both the agricultural and commercial part of the farm. They are a young couple with two small children. Paolo’s parents live across the street and assist with the winery and, from time to time, babysitting! Altiero is the place where “old” meets “new” . . . meaning that the new generation of this family has returned to the land that belonged to numerous generations before them. Paolo, after graduating in Agriculture, decided to spend all his passion and energy to produce Chianti Classico using the land that long ago gave his grandparents one of the best wines of the Chianti Classico area. At that time, Paolo was the youngest “vigneron” in Europe. In recent years, Paolo started an experiment … reproducing Malvasia Nera, a typical old Tuscan grape that has become very rare. But, according to Paolo, it is one of the flavors of Tuscany that should not be forgotten. Paolo is in the fields when we arrive but Samuela happily gives us a tour of their place; explaining the history, the production, the winemaking, and shows us that they are aging wine in terracotta containers (the first we have seen). 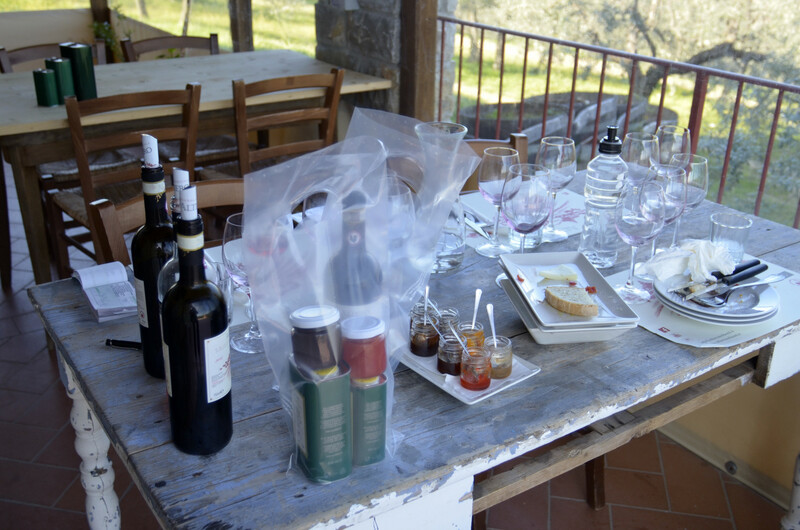 The wine in the terracotta containers is Malvasia Nera. They decided they would try something “outside of the box” for these grapes. Samuela, when showing us the terra cotta containers themselves had us smell the exterior walls of the terra cotta containers . . . the aroma was similar to that of a honeycomb. This aroma is the result from the wine making contact with the terra cotta containers. Following our tour, we are invited to enjoy a tasting on their outdoor deck, overlooking the valley. The view is magnificent! Due to our lack of knowledge with this varietal we were unable to assign a medal rating to this wine . . . although we did find it most enjoyable and inviting. A new experience for us! We enjoyed ourselves so much that we were still on the deck when Paolo joined us after he finished in the fields for the day. We chat a long time together about wine, Italy, Canada, hunting, etc. We finally tear ourselves away to drive back to our apartment in Siena. If you have the opportunity to purchase these wines (or their delicious olive oil) or participate in a tasting of their products, we recommend you do so. Should you have the opportunity to visit this winery, I am confident you will have a memorable experience! Grazie mille a Samuela e Paolo per la meravigliosa esperienza e i bei ricordi. Ciao!